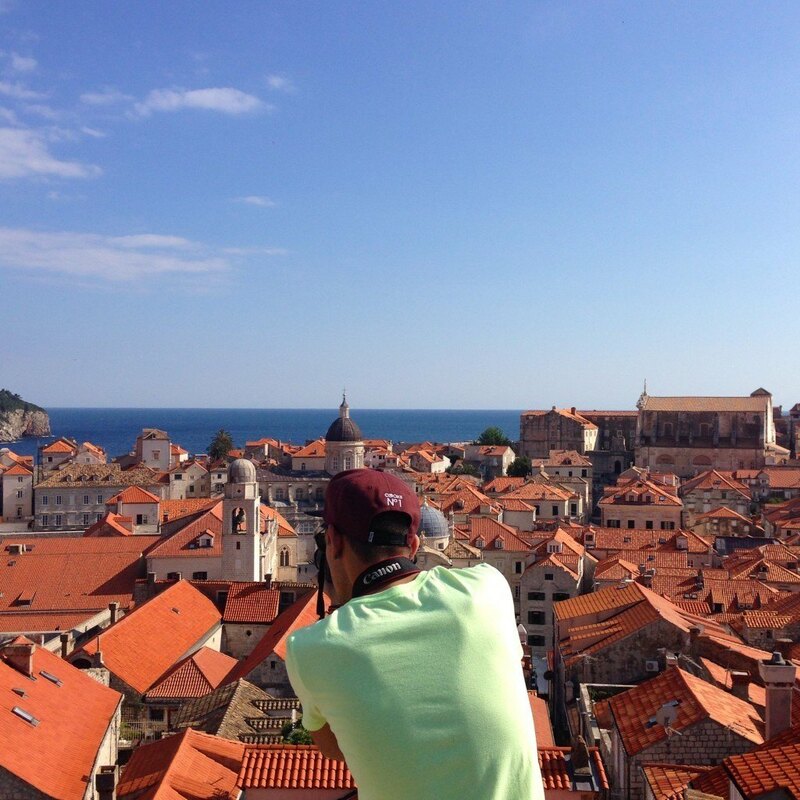 There are a lot of things to do in Dubrovnik. Start by tackling its history; walk around the city walls and from there you’ll get a first feeling for this beautiful city and its position between the mountain and the sea. 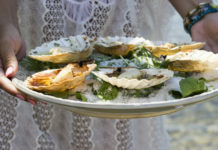 Even though Dubrovnik has become one of the World’s most luxurious IN places, there are still plenty of cheap (or even free) things to do in Dubrovnik. You don’t need to own a yacht or spend a fortune to have a good time in Dubrovnik. Thanks to the amazing weather, a clean blue sea, our rich culture and historical heritage we have so much to offer even if you’re on a strict budget. 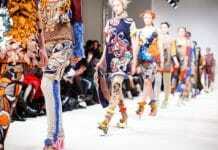 This city is a one-town tourist industry on its own, with endless things to do all the year round. 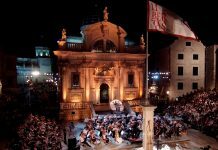 As stunning as the clear blue sea around it, the former center of the independent Republic of Ragusa invites superlatives and attracts the lion’s share of Croatia’s visitors. 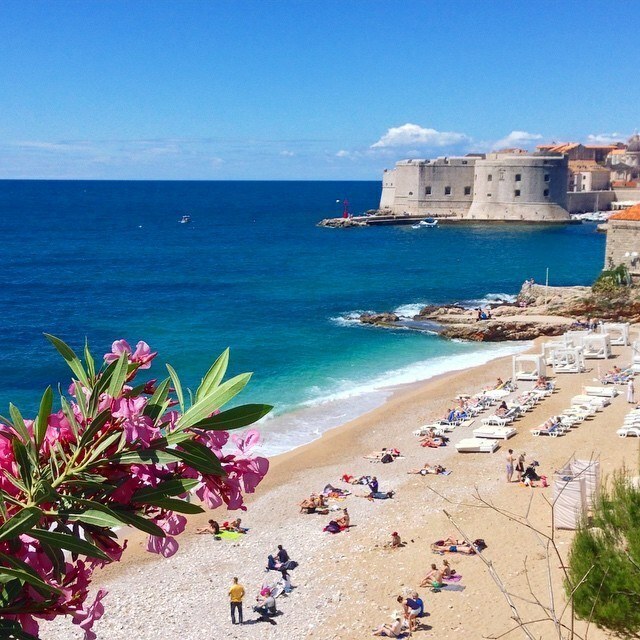 Read on for our insider’s guide to the best things to do in Dubrovnik. 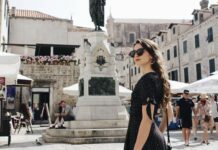 Top 10 things to do in Dubrovnik! Ask anyone what should be the first thing to do while here and this will definitely be the first thing they say. Yep, it can get pretty crowded but it’s popular for a good reason. You will need at least an hour to walk almost 2 KM loop. Charge your cameras because the view is absolutely breathtaking. Some local’s advice? Go early to avoid the crowds and hot temperatures. Also, don’t forget your water bottles! Admission for individuals is 200 kn. We suggest avoiding the crowds and buying The City Walls tickets ONLINE! 2. 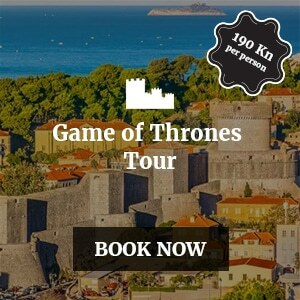 City Walls Walking Tour & Game of Thrones Tour. 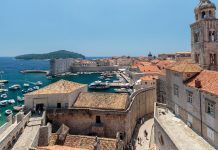 To truly understand Dubrovnik’s fascinating story and its appeal to everybody, take a tour and see the old town from below and above, explore the little side streets and listen about the legends and curiosities that are hidden in every stone. 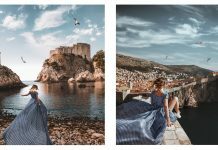 This is also your perfect opportunity to visit locations in Dubrovnik that you’d certainly miss out on if you were strolling around by yourself. 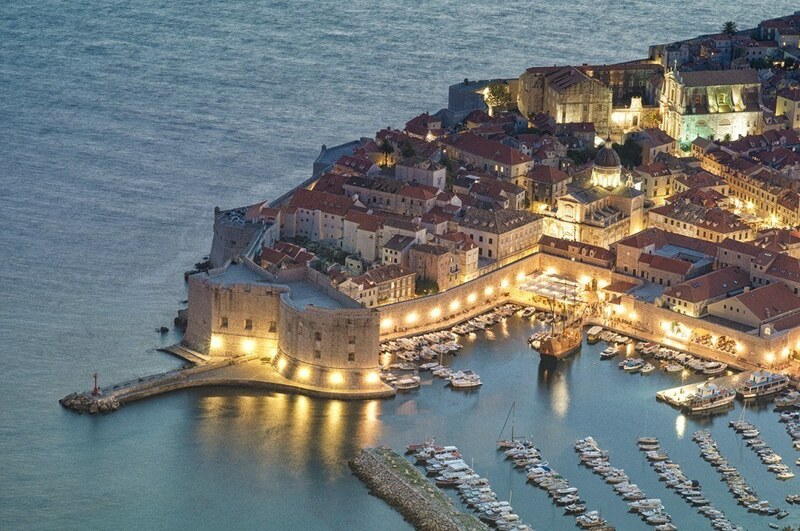 You will unveil a different face of Dubrovnik by visiting the most memorable scenes from HBO’s greatest TV show ever! 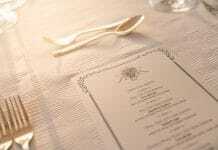 We suggest these 2 tours as the best in Dubrovnik. 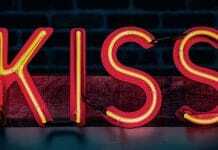 If you visit the links below we have limited time offer that will reduce the price from 190kn per person to only 150kn per person! It’s worth it, trust us! 3. Explore the local beaches and enjoy in Jet Ski Safari Tours. For example – beach Banje. This divine beach is located not more than an eye wink of the old city and it’s offering a heavenly view. Take a plunge in Dubrovnik’s warm crystal clear sea and relax your body & soul. Jet ski rental and safari tours are probably one of the best ways to explore the islands around Dubrovnik. It’s fast and fun adventure! 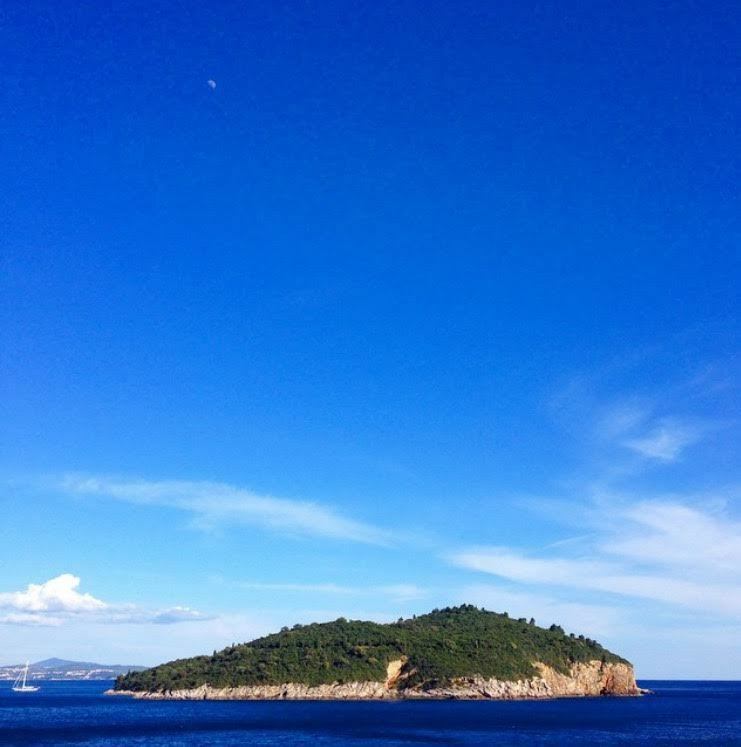 Visit hidden beaches nearby Dubrovnik, spend a day at sea. Professional guides/instructors will be at your disposal all the time and show you all the beautiful places that only locals know. You can read more about Jet Ski in Dubrovnik on a link below! 4. Get a bergain ice-cream! In Rome you would pay a fortune for it, but here shops on the main street, Stradun, provide up to 50 flavours for around 2 euros! 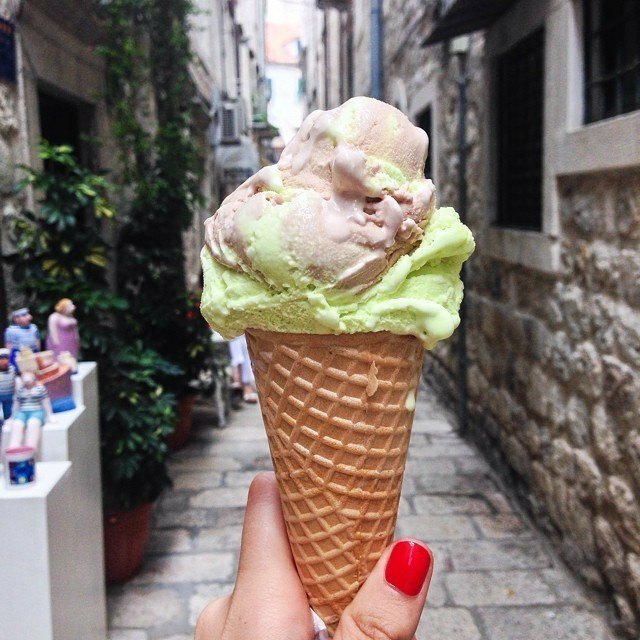 As an ice-cream addict, I can guarantee; Dubrovnik’s ice-cream is probably the best one you’ll ever have. 5. Visit the open-air market in the Old Town. This is a great way to start your day in Dubrovnik. Here, you can pick up the fresh stuff and then settle in the corner of the square in small coffee shop for your morning coffee and newspapers. Gundulić Square offers organic seasonal fruit and vegetables mostly grown in the fields just outside the town, mostly Konavle region. 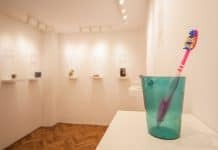 Beside that, you can find locally produced goods like dried lavender, aromatic oils, home-made brandies, beautiful embroidery and many other authentic stuff. You should get up pretty early because the market opens every morning and it closes in the afternoon. 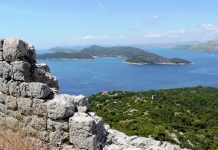 A day trip to one of the islands in this archipelago northwest of Dubrovnik makes a perfect getaway from the summer crowds. The most popular islands are Koločep, Lopud and Šipan. The islands name originates from the Greek word elafos, meaning deer – in ancient times the islands were populated by the deer. The islands were extremely important due to their location in front of Dubrovnik ;some of the most skillful mariners come from this region. 7. Sit in a caffé. When in Dubrovnik do like Dubrovnik’s people do. And this one is an absolute classic. Croatia’s favorite activity is definitely having a coffee and people watching (we mean- gossiping). We can do this for hours. 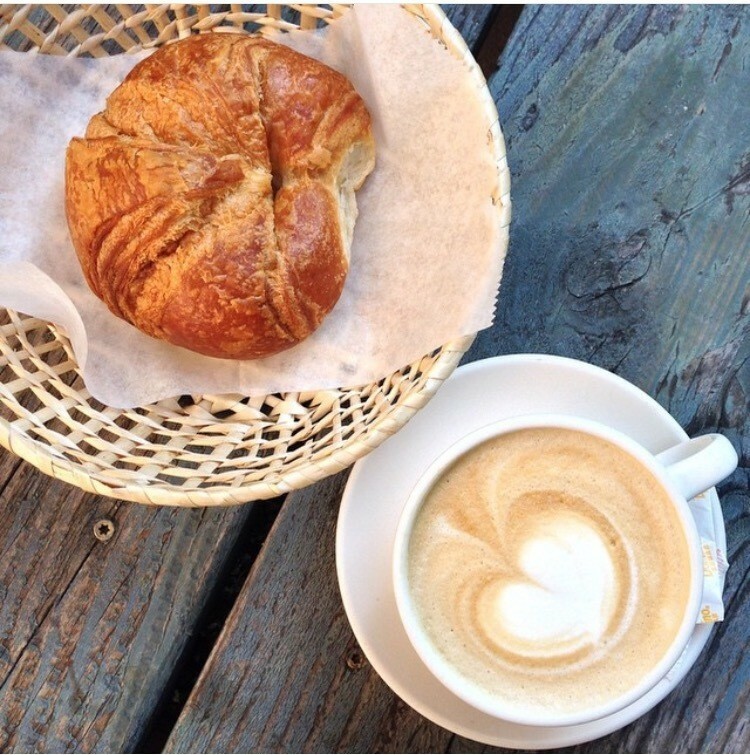 The little caffés on the main street are perfect for this, but if you’re looking for a cheaper solution check out the smaller streets – you will get equally good service for much less money. It takes only 10 minutes to get there from the port of Old town. This beautiful island is rich with sea side cliffs, amazing nature (botanical garden & interesting animal species) hidden rocky beaches and many other attractions like The dead sea, old monastery etc . 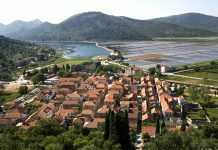 So there are many ways to spend a couple of hours in this beautiful island just opposite of Dubrovnik. You can buy boat & admission tickets online on a link below at best price!
. 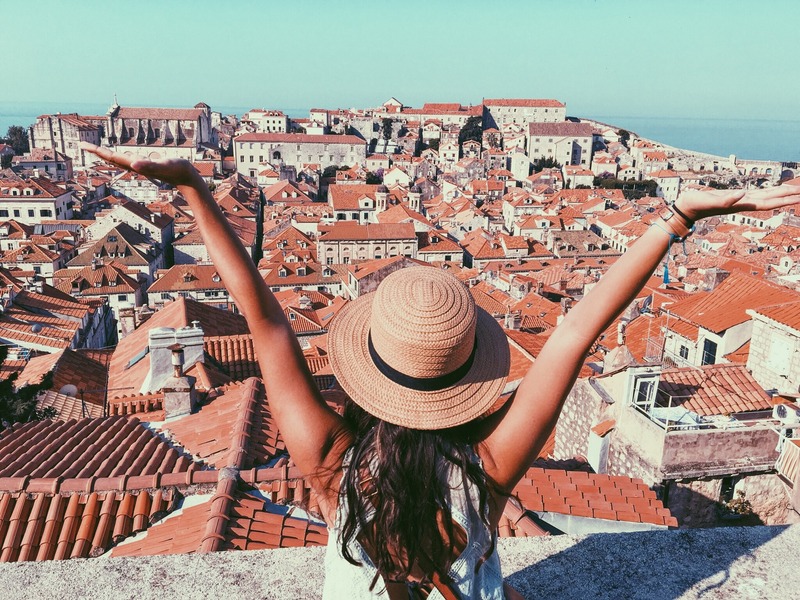 Experiencing beautiful Dubrovnik by strolling the streets is one thing. Seeing it in all of its glory from high is another thing. We suggest you take the short Dubrovnik cable car ride up to The Srđ Hill to see Dubrovnik from the above. The views from up there are absolutely breathtaking. If you do it independently, an adult round-trip ticket will cost you 170 kuna. If you want to experience the views from the top of a Srdj Hill and walk back down one way ticket costs 90 kuna. 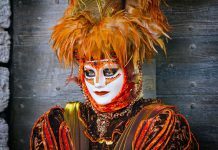 Be smart, avoid the crowds and buy cable car tickets online! Another interesting, yet adventurous way to explore Dubrovnik’s coast. 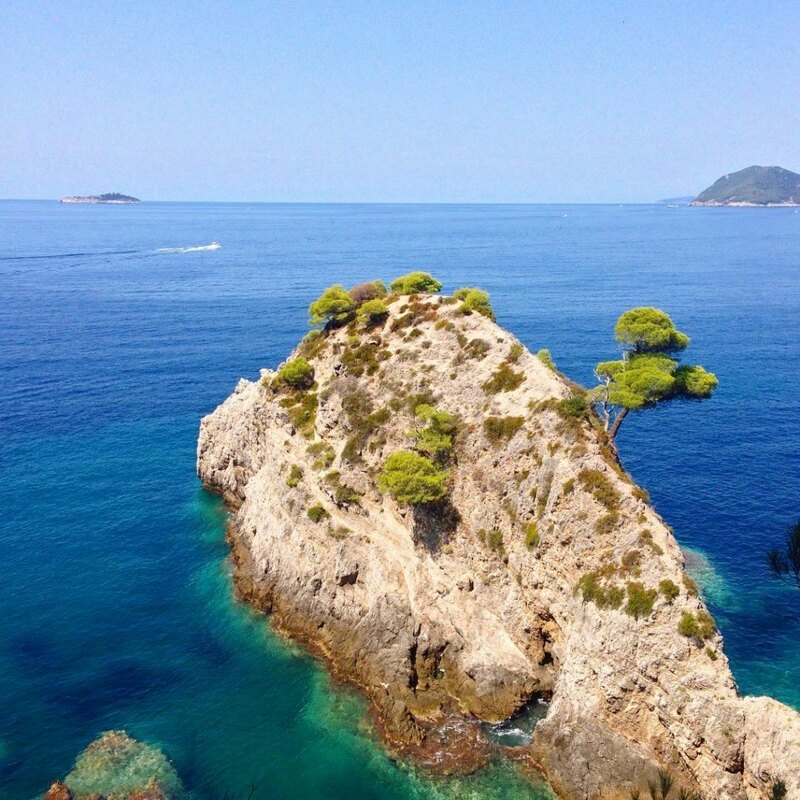 As you cruise along the clear blue sea you circle the Island of Lokrum, explore the small caves, and make a quick stop into a private cave beach along the Dubrovnik coast line called Betina špilja. 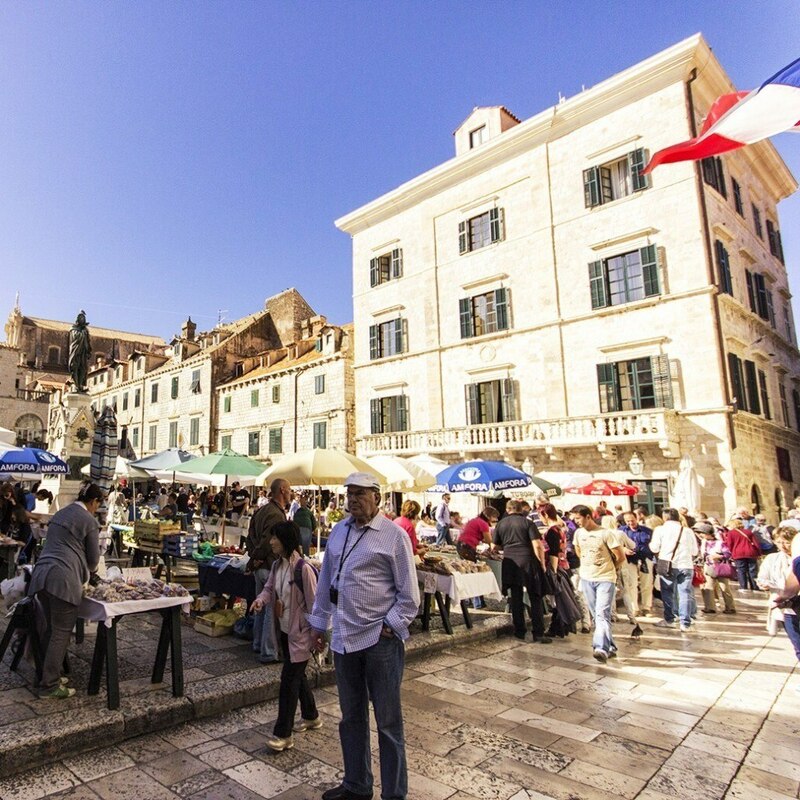 Find out more things to do in our Go Dubrovnik Guide.